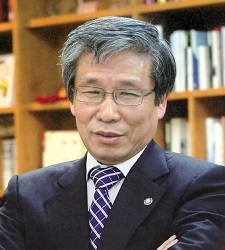 Speaker Bio: Professor Seong-kon Kim, Professor Emeritus of Seoul National University and President of the Literary Translation Institute of Korea (a ministerial appointment with the Government of the Republic of Korea), is currently in residence at GW as CCAS Dean's Global Distinguished Scholar in the Humanities. An internationally renowned author, translator, and literary critic, Professor Kim is widely recognized as a pioneer in postmodernism, post-colonialism, and cultural studies in Korea. *This event is co-sponsored by GW Institute for Korean Studies. Abstract: North Korea is usually presented to the public as a dictatorial regime with a hungry population and world-threatening nuclear and missile programs. The perception of North Korea as a “corrupt regime” which “should be dismantled” causes misunderstanding of this country, which leads to ineffective foreign policy decision making along with being surprised when discovering the existence of technology and advanced modern science within the country. The DPRK is a country with “5000 years of history”, beginning from the Ancient Joseon period (2333 B.C. – 108 B.C. ), continuing through the formation of a socialist state in the northern half of the Korean Peninsula in 1945 – 1948. North Korean science and industry also has a long history and background. In the 21st century, North Korean citizens and authorities continue to collect knowledge of the world's modernization processes and strive to follow it. This talk will give various examples of North Korean modernization and will demonstrate the new look of this country. 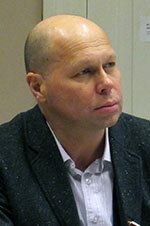 Speaker Bio: Sergei O. Kurbanov is a professor and the chair of the newly established Department of Korean Studies at St. Petersburg University. In 1997, he developed and opened the “Korean History Major” BA Program. His spheres of interest are wide, including the general history of Korea (with books published in 2002 and 2009), Korean Confucianism (book in 2007), and the everyday lives of North and South Koreans in 1987 – 2000s (books in 2013 and 2017). He also wrote and compiled a biography (published in 2016) of Kim Gu, the head of the Provisional government of the Republic of Korea in China, as well as a book on the theory of historical science (book in 2016). Currently, Prof. S.O. Kurbanov is undertaking a project to write a book on the history of North Korea between 2000 and 2018. Abstract: Through the turn of the twentieth century, Sinospheric intellectuals were bound together by their membership in an intraregional literary culture. Even as a full range of vernacular forms developed and thrived in premodern East Asia, literary Sinitic works continued to flourish: stimulating and in turn being stimulated by vernacular works. But whereas such texts moved relatively unproblematically across the region, the sound associated with such texts varied widely. This talk explores the implications of aural variation for a literary form in which the sound of words is especially privileged: poetry, focusing on Sinitic poetry from Japan’s nineteenth century. Speaker Bio: Matthew Fraleigh is Associate Professor of East Asian Literature and Culture and chair of the Program in Comparative Literature. His research concerns the literature of early modern and modern Japan, especially kanshibun (Sinitic poetry and prose). His work has appeared in journals such as Japanese Studies, Monumenta Nipponica, Harvard Journal of Asiatic Studies, Kokugo kokubun, and the London Review of Books. He has published two books: Plucking Chrysanthemums: Narushima Ryūhoku and Sinitic Literary Traditions in Modern Japan (Harvard, 2016) and New Chronicles of Yanagibashi and Diary of a Journey to the West: Narushima Ryūhoku Reports From Home and Abroad (Cornell, 2010). The latter, an annotated translation, was awarded the Japan-US Friendship Commission Prize, and in 2012, he received the Sibley Prize for his translation of Ryūhoku's prison essay, Super Secret Tales From the Slammer. He is currently working on two book projects. The first concerns literary and cultural interaction between Japan and Taiwan. The second examines theoretical discourse concerning Sinitic poetry published in 17th to 19th century. This event was reported on TV here. This event is co-sponsored by Taiwan Academy, Taipei Economic and Cultural Representative Office in the U. S., the Sigur Center for Asian Studies and the Department of East Asian Languages and Literatures. This is part of the film series “Martial Law and After: Reflection of the 30th Anniversary of the End of the Martial Law in Taiwan Cinema (解嚴三十年臺灣電影眾生相)” organized and co-sponsored by Taipei Cultural Center in New York, National Chengchi University, Taiwan Academy, Taipei Economic and Cultural Representative Office in the U. S., Sigur Center for Asian Studies, and the Department of East Asian Languages and Literatures Kim-Renaud East Asian Humanities Lecture Series. Join us for a film screening of Banana Paradise (香蕉天堂, 1989, 116min), introduced and followed by a Q&A discussion with Dr. Guo-Juin Hong, Associate Professor at Duke University. "Door Latch" and his friend followed the KMT army and moved to Taiwan in 1949. They conceal their real name and get many trials and afflictions to adapt the circumstances in that special situation. Even though there are a lot of embarrassing situations and he suffers many difficulties, Door Latch survives. However, the KMT government released the restriction to visit Mainland China and he is able to visit parents and relatives there, but bigger secrets will unfold. In 1949, “China” officially fractured into two competing regimes, separated by the Taiwan Straits. The year 1949 does not only divide. It connects and reconnects various interrelated parts and fragments, showing not a clear sense of what China is but, rather, “China” as a question. This presentation begins by tracing the changes in the construction of “home” in post-1949 cinema under the Martial Laws, from the Discourse on Militant Literature and Arts by Chiang Kai-shek in the 1950s to the emergence of the New Taiwan Cinema of the 1980s. The lifting of the Martial Laws in 1987 marked a radical change in Taiwan, effecting, however, a gradual shift in the cinematic representation of “home.” The first part serves as an in-depth introduction to Wang Tong’s 1989 Banana Paradise香蕉天堂, one of the earlier masterpieces depicting the 1949 migration and its lasting impact on people in Taiwan. After the screening, Wang’s later films, namely Red Persimmons 紅柿子 (1995) and his most recent Where the Wind Settles 風中家族 (2015) will serve to illustrate a distinctive transformation in the cinematic construction of home in the post-Martial Laws eras. As the relationships across the Straits continue to evolve, this event introduces but one significant example of how the year 1949 remains at the core of the cultural representation of Taiwan after and beyond the Martial Laws. Dr. Guo-Juin Hong is Associate Professor of Chinese Cultural Studies in the Department of Asian and Middle Eastern Studies, and Director of the Program in the Arts of the Moving Image at Duke University. 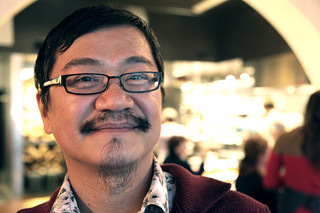 Hong received his PhD in Rhetoric and Film from the University of California, Berkeley, in 2004. His book, Taiwan Cinema: A Contested Nation on Screen (Palgrave Macmillan, 2011; paperback edition 2013; Chinese edition forthcoming, 2017), is the first and only full-length study of Taiwan cinema in English language that covers its entire history since the colonial period. Hong has published articles on topics such as 1930s Shanghai cinema, New Taiwan Cinema, documentary and queer movement. His essay on colonial modernity in 1930s Shanghai received Honorable Mention for the 2009 Katherine Kovacs Essay Awards by the Society for Cinema and Media Studies. Hong teaches courses on Chinese-language cinemas, Chinese literature and culture, film theory and historiography, melodrama, documentary, and audiovisual culture. "Tushu 圖書: The Complementarity of Words and Graphic Images in the Exposition of East Asian Thought and Religion"
This lecture explores a late 7th century Sino-Korean Buddhist text -- the 華厳一乗法界圖-- which has as its foundation the “seal-poem (pictured above).” Prof. Gimello will talk about this text, about its place in both Chinese and transcultural traditions of patterned poetry and word-mazes, and about the larger semiotic implications of wedding words to graphic images. "Reading Distance: Port Louis, Cairo, Beijing"
Registration is required for this event. Please RSVP at https://goo.gl/forms/DzKQiyQM5w5xdpJQ2. Michael Gibbs Hill (Ph.D. 2008, Columbia University), Visiting Associate Professor of Chinese, comes to William and Mary after teaching for nine years at the University of South Carolina. His research and teaching interests include Chinese literature and cultural history, translation studies, and connections between China and the Middle East. For the 2016– 2017 academic year he will hold an ACLS Frederick Burkhardt Residential Fellowship at the Kluge Center at the Library of Congress. "Hallyu in India and South Asia"
Dr. Ravikesh Mishra heads the Centre for Korean Studies at Jawaharlal Nehru University. His area of interest and research include Korean language teaching, modern Korean literature, aesthetics, and literary translation. His talk will focus on the importance of promoting Korean Studies as one of the effective component of ‘Hallyu’ in the South Asian countries in general and India in particular. It also recapitulates the process of reception, adoption and assimilation of ‘Asian’ element that ‘Hallyu’ intrinsically possesses. "Semantic Structures We Live By: Comparing English and East Asian Languages"
Each and every language has a semantic system underlying its linguistic form. How this system is structured differs across languages. Systematic comparison of semantic structures across languages is importantly pedagogically because accurate and idiomatic use of a second language (L2) is dependent on the development of an L2-specific semantic system (which is often neglected in L2 teaching). It is also importantly theoretically because understanding how semantic differences impact L2 learning may shed light on human learning and cognition. In the lecture, Dr. Jiang will share his observations of how semantic structures differ at both the lexical and sentence level between English and Chinese (and potentially other East Asian languages). The purpose is to enhance the awareness of such differences among L2 learners and teachers. "Women and Buddhist Philosophy: Engaging with Zen Master Kim Iryŏp"
This talk considers shared domain of women and Buddhist philosophy: what they share in common and how we characterize it. To this end, Professor Park will explore the life and philosophy of a twentieth century KoreanZen Master, Kim Iryŏp (1896-1971). A daughter of Christian parents, Kim Iryŏp was the first generation Korean feminist and a writer who became a Zen Buddhist nun. Iryŏp’s life and Buddhist philosophy demonstrates a multi-layered encounter between women and Buddhism, and further shed light on the meaning of autobiography, narrative identity, writing as testimony, and meaning construction in our daily existence. "Politeness and Metaphor in Japanese"
In his book Grammatical Encoding of Politeness: Systemic Metaphorization in Japanese, Professor Alan Hyun-Oak Kim argues that Japanese honorifics are organized by a set of relatively simple principles about the Superior, a metaphorized taboo entity. Professor Kim’s lecture, based on his book, will elucidate various honorific patterns in Japanese hitherto separately handled from the unified perspective of metaphorization. "Making of the Korean Honorific System"
This talk analyzes how Empress Dowager Cixi (1835–1908) utilized photography to produce images for different purposes. While Cixi created a formal image for the foreign public, she also projected a provocative personal celebration of female agency in the photographs intended for informal purposes. Regardless of photography’s novel properties, both types of images linger between tradition and innovation. On the one hand, Cixi’s formal photo portraits rigorously adopt the visual language of traditional imperial portraiture to ensure the sitter’s transformation from a single individual to the embodiment of an empire. On the other hand, Cixi appropriated negatively perceived poses in beauty painting, such as looking into a mirror and crossing her legs, to emphasize the power generated from feminine beauty and fecundity. Her appropriation was not to extend the painting’s original meaning but to facilitate a purposeful subversion. “Every Rock A Universe: The Yellow Mountains and Travel Writing in China"
Poetry and prose inspired by visits to beautiful places, especially the mountains, constitute an important branch of Chinese literature. Jonathan Chaves recently published the first translation into a Western language of Huangshan lingyaolu 黄山領要錄 , "Comprehending the Essentials of the Yellow Mountains," written by Wang Hongdu 汪洪度.--a painter, calligrapher, poet and prose writer--in 1696, during the "Golden Age" of the Yellow Mountains and the art and literature they inspired. In this talk, Prof. Chaves will discuss his research, including his visit to the Yellow Mountains in the company of great landscape photographer, Wang Wusheng, and will show images of the Mountains. He will also read from the original text, and from his translations, of Wang Hongdu's work. In Last Winter We Parted (Soho Crime | October, 21st, 2014) a young writer arrives at a prison to interview a convict. “Moonlight and Golden Clouds: Silver and Gold in the Arts of Japan”. Since the nineteenth century, studies of the arts of Japan have often isolated the crafts, treating them as separable from the mainstream of art history and as minor vehicles of aesthetic ideas. Lacquerware, especially maki-‐e, with its sumptuous designs in gold and silver, is often considered as merely “decorative,” rather than as a primary carrier of aesthetic and cultural values, ideas, and meaning. Some styles of Japanese painting have been similarly described as “decorative,” a term that has in recent times tended to trivialize the functions and signiﬁcance of gold, silver, and the adornment of objects and images in the contexts for which they were designed, made, and used. A hallmark of the Japanese visual arts from the eighth century onward is prevalence of gold and silver not only as adornment, but as a fundamental component of pictorial representation across media. Artists developed an unmatched range of techniques for creating subtle images in gold and silver that imbued their work with the luminosity of reﬂected light. This paper examines the technical, aesthetic, and cultural signiﬁcance of gold and silver in Japanese art and argues for an integrative approach to research of the aesthetic history of Japan. Speaker: Andy Chih-Ming Wang, Associate Researcher, Academia Sinica, Taiwan, currently a visiting scholar in the English Department. In 1854 Yung Wing, who graduated with a bachelor’s degree from Yale University, returned to a poverty-stricken China, where domestic revolt and foreign invasion were shaking the Chinese empire. Since then, generations of students from China—and other Asian countries—have embarked on this transpacific voyage in search of modernity. What forces have shaped Chinese students' migration to the U.S.? What impact do they have on the formation of Asian America? In particular, what does study abroad mean in the context of the globalization of education? Based on Dr. Wang’s new book, the talk opens up discussion about Chinese parents' and students' obsession with the Ivy League schools. Study abroad in the West has always been a project of neoliberal subject formation. By examining the lives and voices of these scholars, we can understand how becoming Asian American has become both the lure and the burden of Chinese modernity and intellectual independence. Bio: Andy Wang is Associate Researcher in the Institute of European and American Studies, Academia Sinica, Taiwan. His articles appeared in major leading journals, including positions: asia critique, American Quarterly and Cultural Studies. Andy Wang’s first book, Transpacific Articulations: Study Abroad and the Remaking of Asian America was recently published by the University of Hawai'i Press (2013). Abstract: East Asia is not a geographical area—at least for those of us who spend our lives studying it. Rather, “East Asia” is the shorthand term we use in talking about one the world’s great civilizations. In a word, it’s primarily a cultural term for us, not a geographical one, and in that sense East Asian Studies is not area studies at all. It’s about the history and deeper significance of human culture and institutions. And yet, geography, the lay of the land, is nevertheless an important topic for the East Asianist, because it has shaped the languages and cultures of East Asia to a remarkable degree. How that happened is a topic I plan to explore, at least in a general way, in my talk. 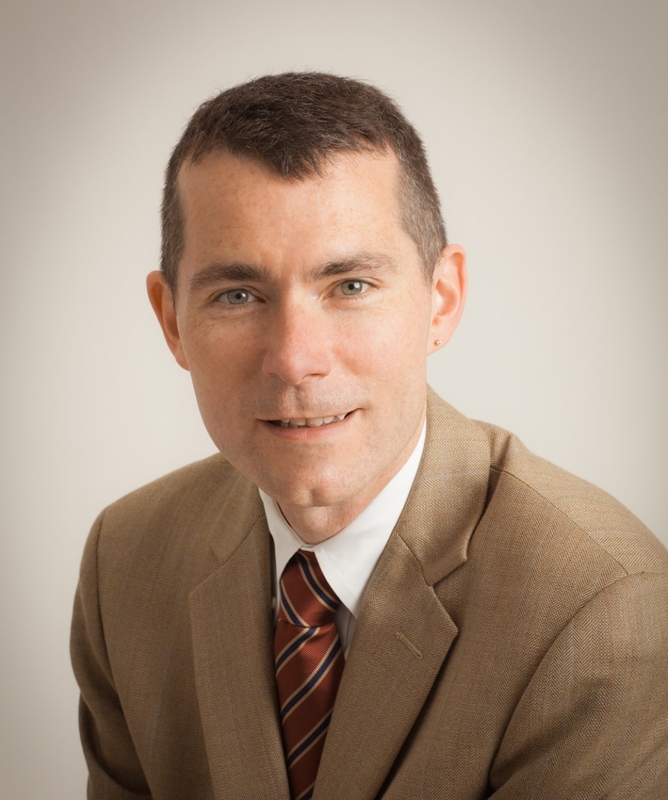 Bio: Robert Ramsey is Professor of East Asian linguistics at the University of Maryland and immediate past chair of the Department of Asian and East European Languages and Cultures. Ramsey’s geographic focus encompasses Japan, China, Korea, and East Asia. He is best known for his work on Korean dialects and the reconstruction of prehistoric stages of Korean.